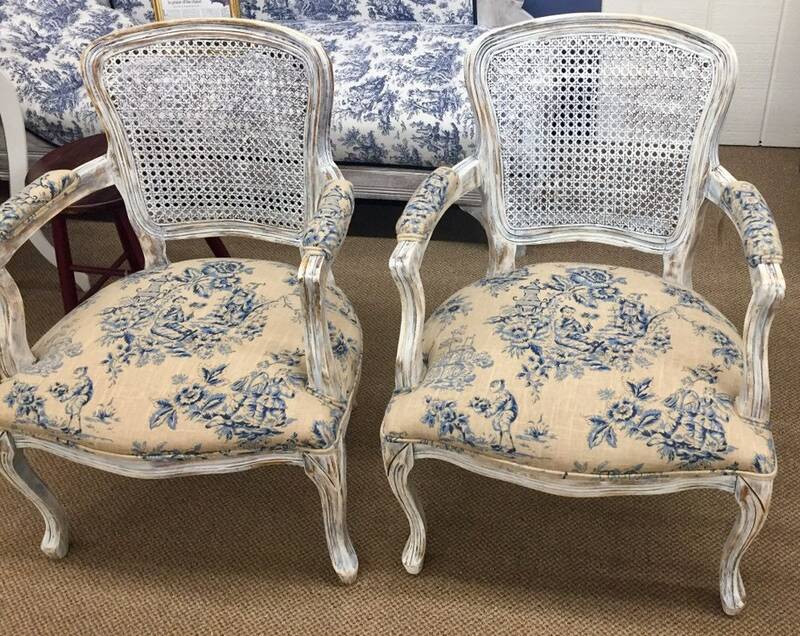 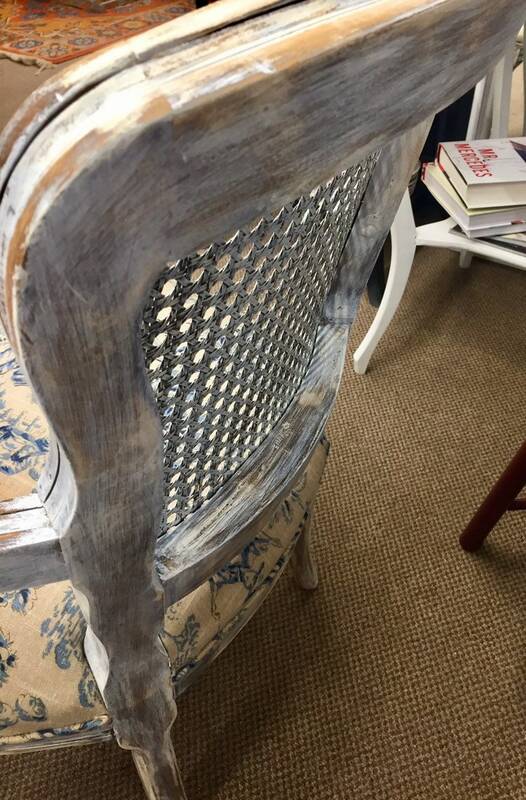 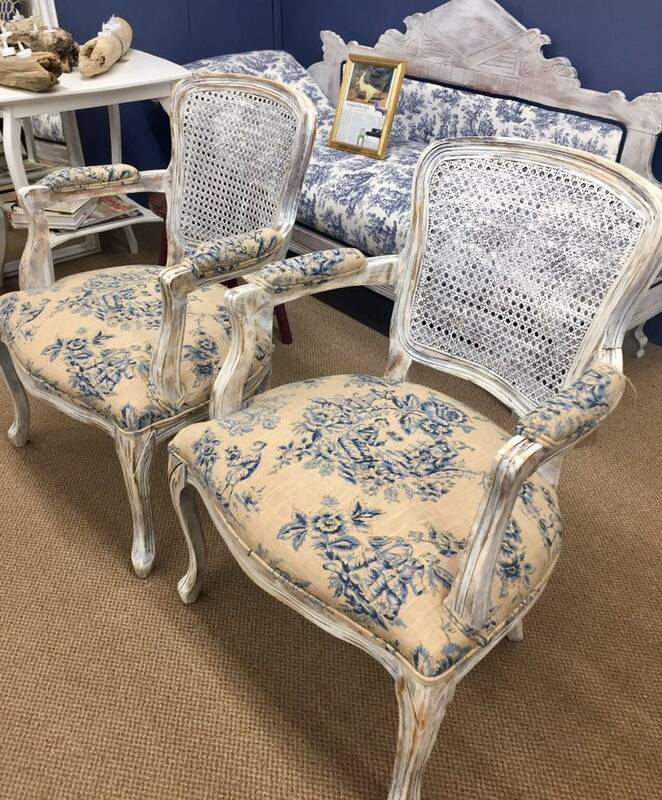 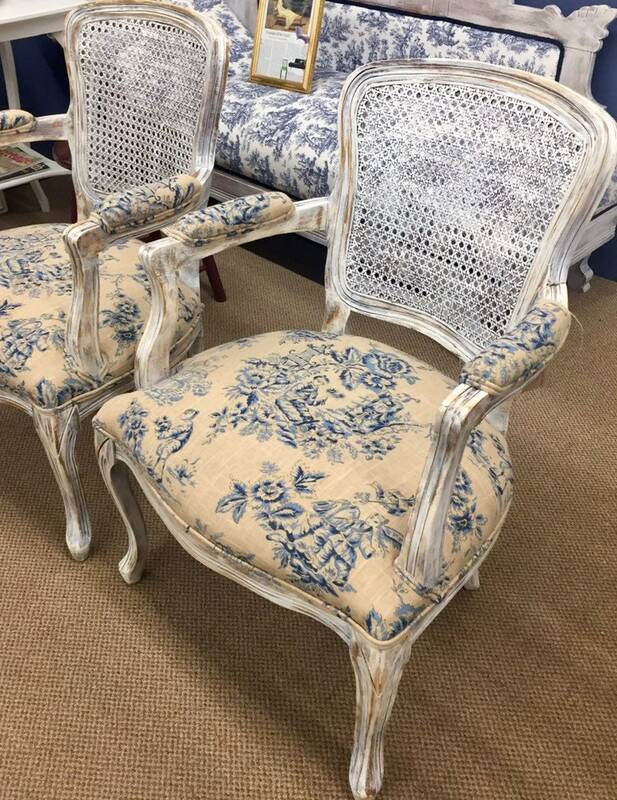 Vintage French Style Chairs. 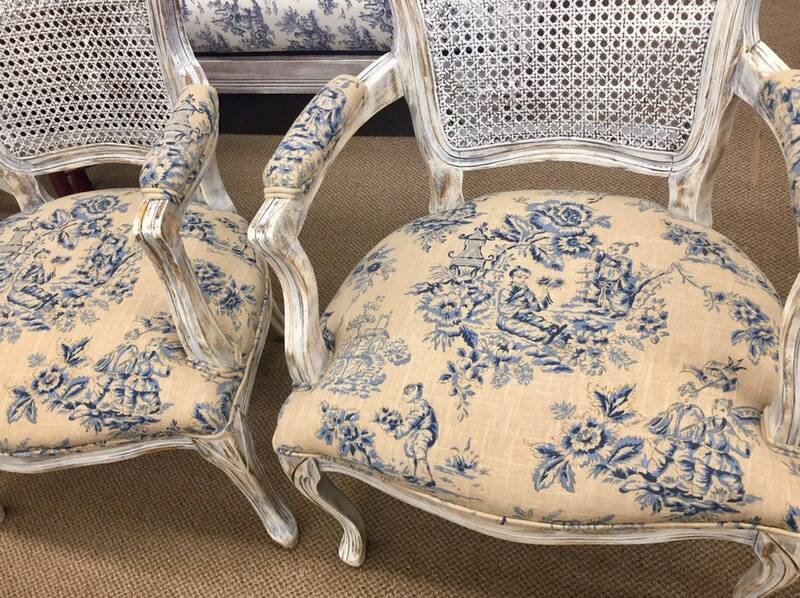 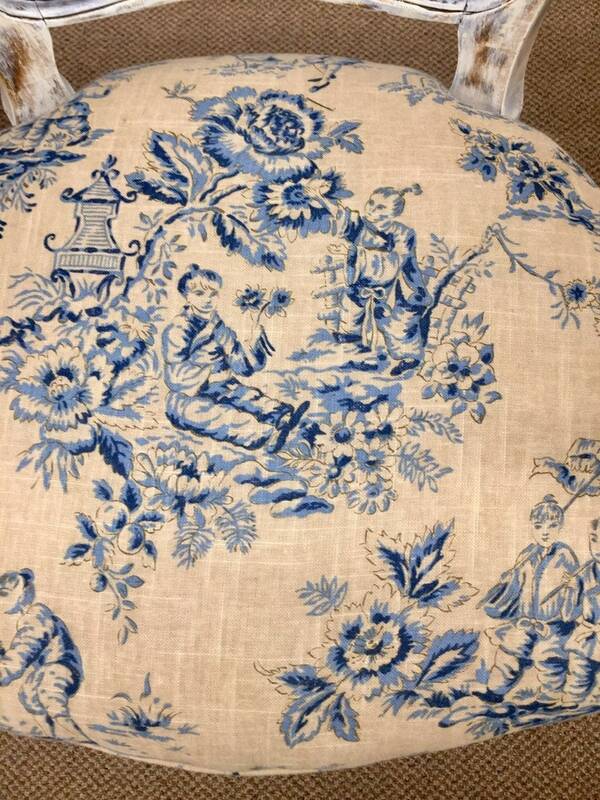 Pair newly upholstered. 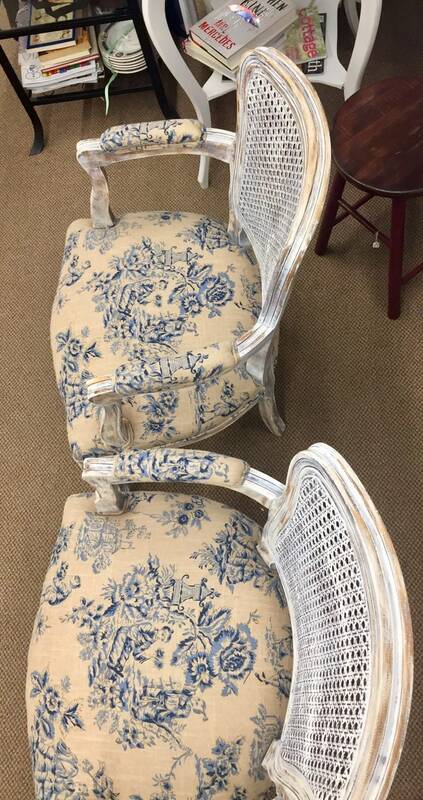 White Caned backs.